「NBC BEAUTY SHOP」- Mario Badescu ★ Drying Lotion | Acne Cleanser | Cetaphil Oil Control Foam Wash | Avene Cleanance. mario badescuMario Badescu ★ Drying Lotion | Acne Cleanser | Cetaphil Oil Control Foam Wash | Avene Cleanance. Fuss free collection and staff is very helpful and accommodating. Highly Recommend My twins use the pdts for the cleanse their faces. This pdts are good for acnes. Received in good condition. Using well. 1St time trying the item. Let hope my pimple go away. Delivery was within 4 days. Product is good for drying acne. Delivery took a while. Received in good condition. Price is cheapet than other seller. Super prompt delivery and will definitely purchase from seller again! A good body scrub which leaves the body smooth and clean. Love the product. It smells good, too! Nicely packed. Great price. Responsible seller. Hi, would like to check the expiry date for the drying lotion as intend to stock up. Appreciate ur reply on this case. Hi. drying lotion is protected underneath the alcohol, and it is recommened to use it within 24months after open. We dont recommend you to stock up too many for this. Hi Seller, can i just check does the honey & soy milk body butter lyte and the honey & milk body butter smell the same? Thanks! dear seller . Pls consider using qxpress as Singpost is troublesome for me especially I am not at hme to pick up my items . Thanks. Dear Annie, thank you for contacting us. FYI, all our registered mails are delivered by Singpost SmartPac, which will be deposited into your mailbox if there is noone to sign the parcel. So please make sure your mailbox is not too full to fill in the box. ^^ Hope this may help. Hi, I seem to have chosen the wrong option for the delivery. I bought two sea salts, which sums up to be above 39 dollars so I am eligible for free shipping. However, the option "store pickup" was chosen. Can you deliver to my house instead? Thank you. Can I send you my address privately? 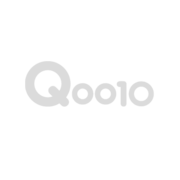 Is there a private message function on qoo10? Hi, I'm actually looking for a whole body exfoliator like my hands, foot, body and face. May i know which product would you recommend? What is the difference between Body Butter Lyte and Butter Blend? If I want to use for hands and feet, which one woul you recommend? When is the expiry date of your product? [Re] What is the difference between Butter Lyte and Blend? Dear customer, thank you for contacting us. Butter Lyte is in lotion form, and Butter Blend is in cream form. Moist of customer prefer lotion form for body and cream form for hands and feet. Recommended to complete using 12 months after open. OK, thanks. I have ordered the trial butter blend to try out the texture. Is it safe to use for pregnant woman? Please help to check when I only can receive the item? Order No: 47248598, 47248599 & 47248600. Already 1 week ago, I can't check the shipping info. Dear Eunice, thank you for contacting us. FYI, your parcel was sent out by Singpost SmartPac, and the tracking no. is: SM000207401SG Based on the status of the delivery shown on Singpost website, your parcel has been already delivered. Please check with your family members if they have received on your be half. FYI, if there is no one to receive the smartPac from your address, Singpost will deposit the parcel into your mail box, so please do check your mail box too. Should you have any furthur question, please feel free to contact us via 8383-3483.